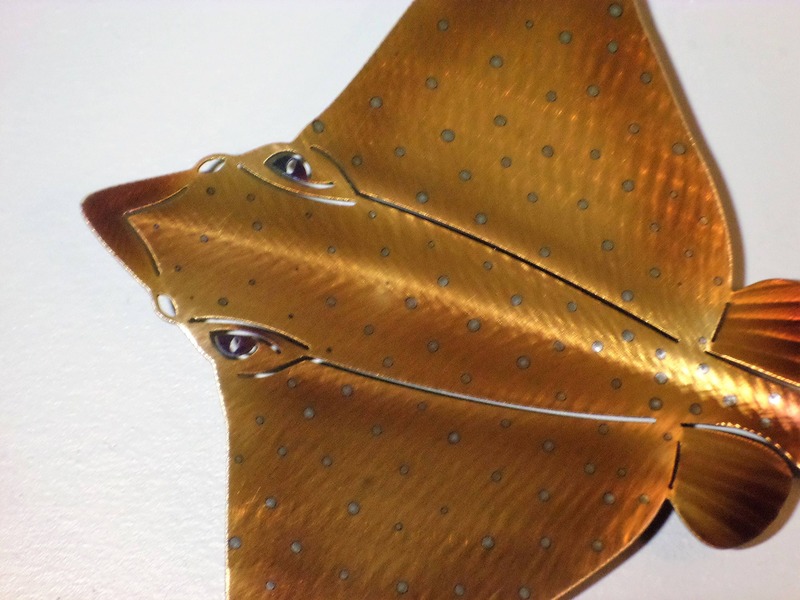 This is a beautiful one of a kind Hand-made, Heat Treated/Torch Colored Eagle Ray. 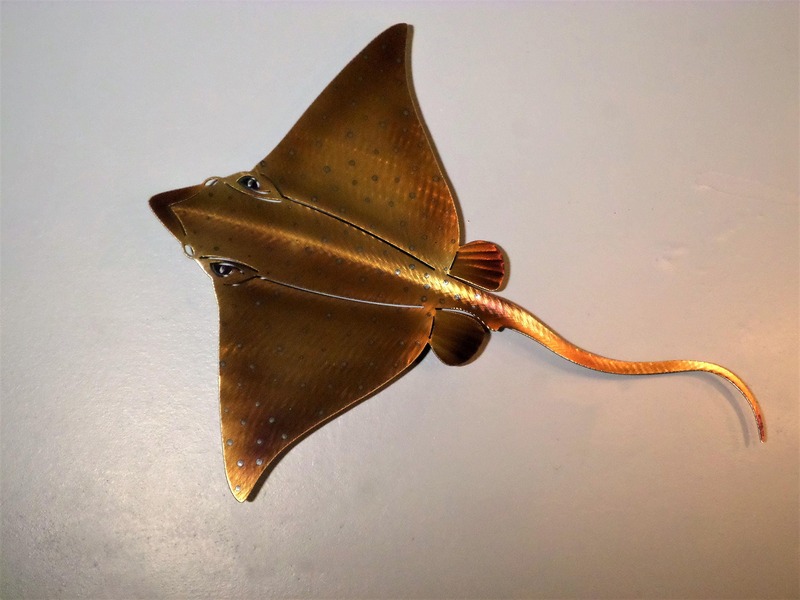 This ray has hangers welded to the back. So it can be easily attached to the wall. It will set 1-2" off the wall. 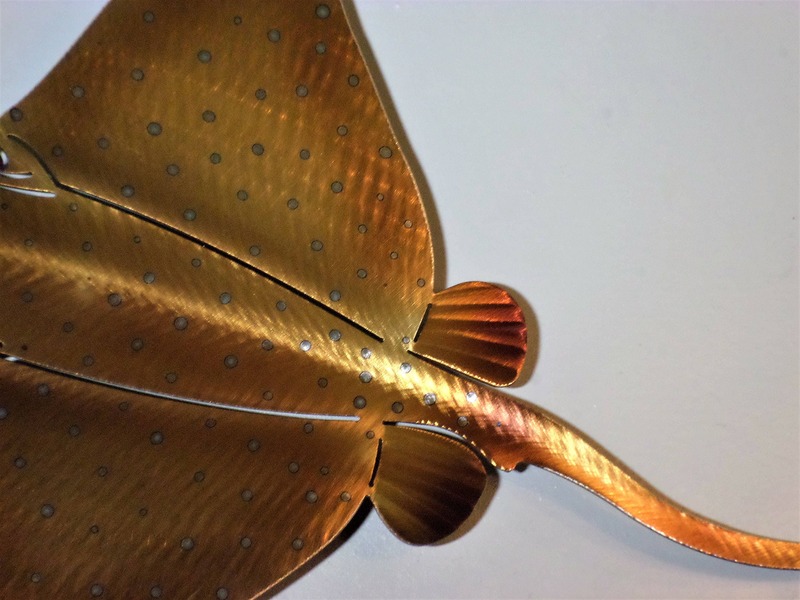 This allows them to cast a really nice shadow and gives it the swimming affect. and may be subject to copyright.